It comes as no surprise that the weather around Algonac, MI in St. Clair County can take a toll on many homes. The wet environment throughout most of the year often causes damage to the basement of homes across the community. Whether your basement is having issues with water leakage or excessive moisture, our team at Foundation Solutions 360 is the perfect team to handle these basement waterproofing issues. Our goal is to tackle these repairs through sound basement waterproofing before the damage gets significantly worse and much more costly. 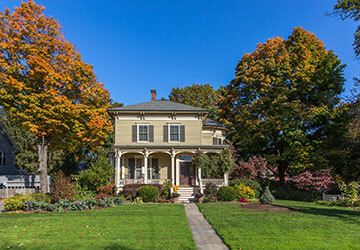 Foundation Problems – The foundation of your home is arguably the most important aspect of your home’s structure. Doesn’t it make sense to protect the foundation of your home at all costs with basement waterproofing? Well, ignoring basement water damage can surely cause significant foundation issues down the road. Mold & Mildew – Moisture around your basement can be a direct link to the mildew and mold that develops in your home. This unwanted bacteria will start in your basement and can easily spread to other parts of your home. This can cause members of your household to get very sick. Basement waterproofing is a great way to protect your Algonac MI home from unwanted mold & mildew. Basement Flooding – Without basement waterproofing, your basement may be prone to flooding, especially during the wetter months of the year around Algonac, MI. Are the costs around basement waterproofing keeping you from protecting the basement of your home in Algonac, MI? 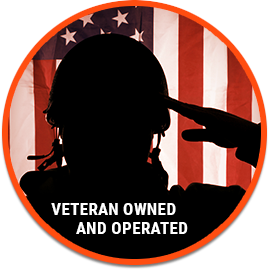 As a veteran owned and operated company, we strive to take a little stress off of your plate when it comes to paying for your basement waterproofing needs. We felt that there was no better way to do this than to offer special basement waterproofing financing options. Choose from our 3, 4 or 5 year interest free financing plans that will help make this home improvement much more manageable financially. If you are looking to protect your basement from the weather that hits the Algonac, MI area throughout the year, choose Foundation Solutions 360 for your basement waterproofing needs. Act quickly so that any water damage that already exists doesn’t get any worse. To learn more about our basement waterproofing options or our special financing plans, give us a call today at (855) 532-5360.